What's the origin of the sarcastic phrase “big whoop”? I used "big whoop" today and realized that while I know how to use it, I have no idea what it literally means. Looking into it, it is very related to the sarcastic phrase "big deal" but I can't find much about the origin. The Oxford Dictionary says that "big whoop" originated in the 1980s while its entry on "big deal" says that it came from "Early 20th century; earliest use found in Frank Norris (1870–1902)" but gives nothing about how it originated. I tried looking both terms up on Dictionary.com, but "big whoop" isn't found while for "big deal it says that it likely first originated in poker or business in a sarcastic way to describe how relatively unimportant a particular deal was. That makes sense to me. But how did "big whoop" come to mean the same thing? I propose that "no big whoop" (and the sarcastic "big whoop") is a mash-up derived from "not to care/give a whoop" (which dates back to at least 1904) and "no big deal" (which the OP researched and mentioned in the question). The phrase a whoop and a holler meant a short distance (i.e. something of little consequence.) So, no big whoop means literally "That is of little consequence." c. Slang phrases (orig. and chiefly U.S.): a whoop and a holler (and varr. ): a short distance; not to care a whoop (and varr. ): not to care one bit; to be indifferent. 1815 Scott Let. 19 Jan. (1933) IV. 13 We are much nearer neighbours and within a whoop and a hollow. 1904 Baltimore American 30 Aug. 6 The voting public as a whole doesn't care a whoop about the question. 1936 E. B. White Let. 24 Dec. (1976) 145 I don't give a whoop about dignity. "Give a whoop" and "care a whoop" used to be much more popular and now in the last few decades "big whoop" has passed it according to Google Ngram. EDIT: Is it right to interpret the origin of "big whoop" as a sarcastic variation of "whoopee" (see Josh's answer)? Seems to me that the following ngram is evidence that it is from "not to care/give a whoop" rather than "whoopee". I'd be interested in the rest of the community opining. When somebody says “big whoop” however, that person would be using it sarcastically. It is used similar to “big deal” which bears a resembling meaning to “so what” in order to blow something off. A whoop is a cry of exultation, a war cry, the whooping cry of a bird, or a harsh coughing sound. The word also works as a verb for to make a whooping sound. Some pronounce the word with an h sound and some with a w sound. 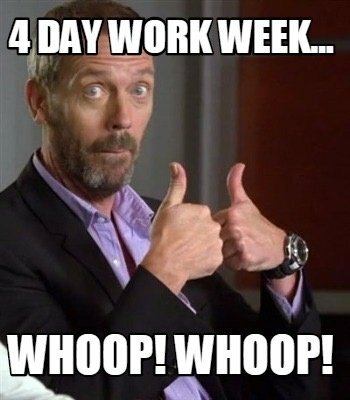 Whoop is conventionally used in the sarcastically celebratory interjection whoop-de-doo, as well as in the equally sarcastic expression big whoop, which means the same as the sarcastic big deal. It’s also used in whoop it up, meaning to have a joyous celebration. 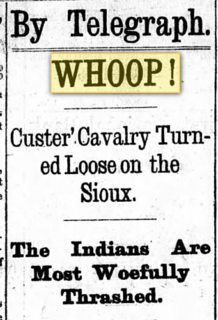 Some of the earliest references to the word "whoop," and what I would argue are the relevant references to "big whoop," were unfortunately racist references to Native American war cries. References to "war whoops" and "savage whoops" are not hard to find in 19th-century newspapers in the United States and earlier. In nationalist white sentiment, the idea of a "big whoop" therefore came to mean "a big cry," or a big deal made of something, usually which was being mocked. a. An act of whooping; a cry of ‘whoop!’, or a shout or call resembling this; spec. as used in hunting, esp. at the death of the game, or by N. American Indians, etc. as a signal or war-cry (see also war-whoop n.); occasionally the hoot of an owl. Early newspaper references to a "big whoop" express this mocking intent. First a headline picture, then a snippet from an article in the same print. A Big Battle Between the Crows and Sioux. A Band of 1,000 Indians - From Whoop-Up Land. A party of six men arrived at this place yesterday from Fort Benton, making the trip in canoes in ten days. The simple announcement of such an exploit conveys very little idea to the general reader of just what the journey really is. The distance is some 1,200 miles, through an unbroken wild and hostile country, and the way is beset with dangers from the outset to the close. Just previous to the party leaving Benton, news was brought to that fort that the British troops had entered the "Whoop-up" country, and that trouble with the American trappers there was imminent. "Terre Haute, Indiana, is to have a new paper, to be edited by three women." That will be the paper for news. Three women in one sanctum! Our "devil" says he'd like to be there, just to raise one big whoop. By the 1880's, the term "Big whoop" seems to have become established as a sarcastic term meaning "a big deal made of something," usually in a hopeless fashion. He arranged who should be nominated in advance, gave his ticket to Col. Johnson to be nominated by the Assistant Republican Association, had the judicial conventions to endorse those nominations, and then had the Republican State Convention to endorse them all in a big whoop. Now that kind of proceeding is evidence of a machine. The term meaning "a big deal" in a sarcastic or mocking way caught on so rapidly and with such strength that most users of the phrase today have little awareness of its origin. Today, "big whoop," as the other answers and the original post indicate, simply means "big deal," sarcastically. What's the origin of the phrase “around the horn”? What is the origin of “in a jiffy”? What's the origin of the phrase “into the weeds”? How common is the term “boondoggle”? And what is its origin? What did people really say when knighting someone? What is the origin of “bend the rules”?